Common sense combined with experience and the right equipment puts us in a position to take care of all your carpet, tile and upholstery needs. The end result is healthy carpet that is deeply clean that will last longer and be safer for your family. Give us a call at 623-810-7664 for a free Carpet, Tile or Upholstery Cleaning Quote in the Phoenix West Valley including Goodyear, Avondale, Litchfield Park, El Mirage, Surprise, Peoria, Glendale, Verrado, Pebble Creek Arizona. Find out why Allaman Carpet Cleaning has more than 160+ ALL 5 STAR Reviews on Google. Don't get your carpet and tile cleaned - Get it ALLAMAN CLEAN! 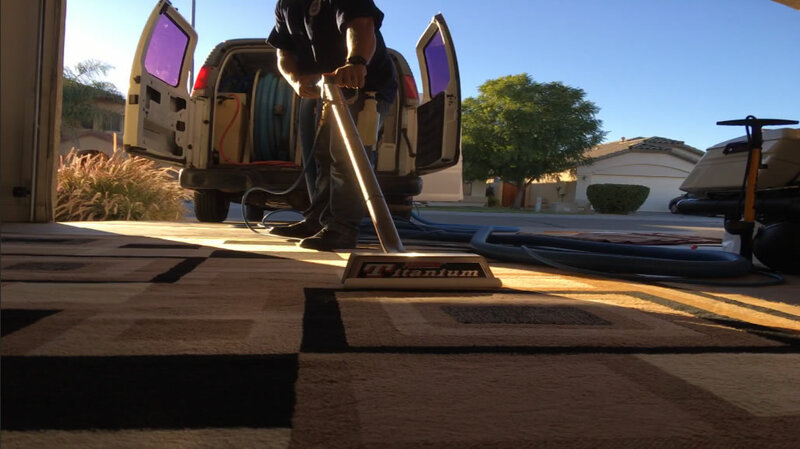 The Carpet Cleaning Professionals in Phoenix Arizona's West Valley - Allaman Clean take pride in providing you with top quality professional carpet cleaning service. Learn more about the Allaman Clean professional and Eco-Friendly Carpet Cleaning process in Phoenix, AZ West Valley including Goodyear, Avondale, Litchfield Park, Estrella, Verrado, Buckeye, Surprise, Peoria and Glendale Arizona. The first and most important step in the upholstery cleaning process is to inspect what we will be cleaning. Our trained professional upholstery cleaning technicians perform a thorough inspection and determine the best cleaning process for your specific upholstery type. Learn more about the Allaman Clean Advantage when it comes to Upholstery Cleaning in the Phoenix Arizona West Valley including Goodyear, Avondale, Glendale, Peoria, Surprise, Estrella, Verrado and Buckeye. AT Allaman Clean in the Phoenix West Valley we inspect your tile and grout condition to determine what kind of tile, stone and grout our customers have. We then deploy the best process to obtain the best tile and grout cleaning results. 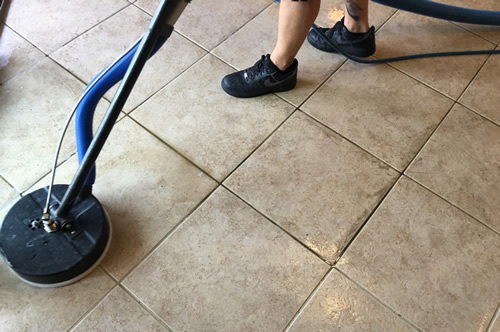 Learn more about the Allaman Clean difference and our tile and grout cleaning and sealing process in the Phoenix, AZ West Valley including Goodyear, Avondale, Litchfield Park, Estrella, Verrado, Buckeye, Surprise, Peoria and Glendale Arizona. A llaman Carpet Cleaning, LLC specializes in residue free carpet, tile, and upholstery cleaning the Phoenix AZ West Valley including Goodyear, Avondale, Litchfield Park, Estrella, Verrado, Surprise, Peoria and Glendale. What does that mean? Soap-free detergents for pre-spray, ringed with filtered water ensures low residue. Soap residue will result in quick re-soiling and give it a greasy look even though it had been cleaned. The carpet, tile and upholstery cleaning professionals at Allaman Clean service Maricopa County and the greater Phoenix, Arizona area. Nothing but professional equipment and behavior is what you can expect from Allaman Carpet Cleaning. "Mitch did a fabulous job on my sectional couch. He was kind, polite and professional and went over the process before he even began. Mitch got out stains which I thought were permanent he was quick and got done faster than he mentioned. Our sectional looks brand new again. He will be our carpet/tile and upholstery guy from here on out. -Undeniably Great Job!- I will also be referring him anytime anyone asks, needs or is looking for someone. Thanks Again Mitch!" Mitch takes pride in his work and it shows. Super friendly, and easy to work with. He did our carpets, and grout along with my car interior. I highly recommend giving him a call. Best carpet cleaning experience that I have ever had! I wish I had taken before and after pictures. Mitch did beyond an amazing job! My carpet was in bad shape with having 4 kids and pets. My carpet now looks brand new, I did not think that was even possible! I've had other cleaners come out and this is hands down the best job done! We will be a loyal customer for sure. Mitch was my go-to carpet cleaner when I lived in AZ. Now that I live in NY I wish it was easy for him to travel to do my carpets here. Nobody does a better job. I doubt he has been diagnosed with OCD, but when he cleans carpet it has to be perfect. He seems to be fascinated with the challenge of making the carpet brand new again. One of many examples: I was certain the lithium grease I got all over my carpet was a permanent fixture of the guest bedroom. Mitch looks at it for a bit and says "yeah, I'm pretty sure I can get that out". And, of course, the carpet was essentially brand-new shortly thereafter. 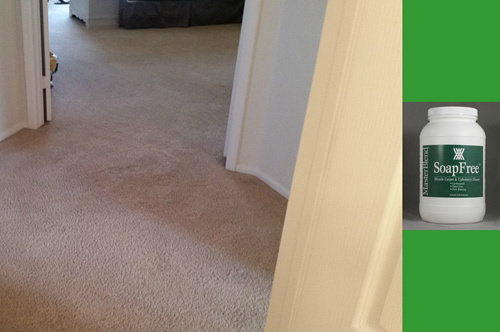 Allaman Carpet Cleaning did an outstanding job cleaning our carpets with their soap-free method. It left our carpets clean & fresh with no residue. Thank you for the great service! Mitch, the owner, was very knowledgeable about the science of cleaning my couches and carpet. He did an excellent job and cleaned up all the stains I thought would never come out. My carpets and 10 year old couch look new again!